Robert ‘Bobby’ Douglas Gorman was born on 1 May 1898 at Glebe, son John Gorman and Jennie nee Stewart. On 29 December 1934 he married May Carney at St Brendans Annandale. There were two sons of the marriage. He died at Glebe on 2 November 1970, aged 72 years. May Gorman died on 16 July 1943. Educated at Patrician Brothers, Glebe, Gorman worked as a warehouseman and commercial traveller before becoming an officer of the Shop Assistants Union. He was the Director of the Annandale Co-operative Building Society and became the Commissioner of Industrial Relations Commission from 1950 to 1963. He then became a Commissioner of the Industrial Relations Commission from 1950 until he retired in 1963. 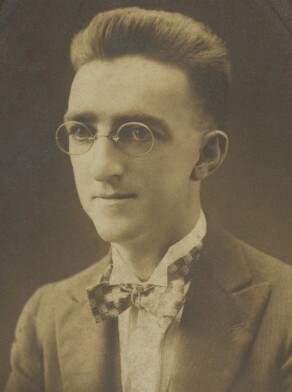 Robert Gorman was a member of the Legislative Assembly for Annandale 1933-50. At a by-election for the seat of Annandale in June 1933, caused by Lang Labor incumbent Robert Stuart-Robertson, Gorman, also Lang Labor, won with 66.34% of the vote and retained the seat until it was abolished by a redistribution at the 1950 election. Robert Gorman was an alderman on Glebe Council from 1926 to 1933. In 1930 he moved that Council co-operate with the unemployed, and that the business people of Glebe be circularised for the purpose of asking them to supply food and clothing for the unemployed. He presided over a public meeting on 27 July 1931 at Glebe Town Hall to protest against the Scullin Government’s pension cuts.